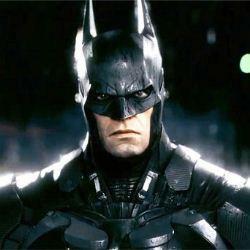 A new trailer for Batman: Arkham Knight gives is a glimpse of the game’s impressive new-gen visuals, and the Batmobile. So far all we’ve seen are screenshots and an impressive CG trailer for the game, but now we can see what the game will actually look like, and it’s impressive. The game is certainly benefiting from its new-gen exclusivity. You’ll see the city, the villains, previously unseen characters like Oracle, and the Batmobile. Batman: Arkham Knight is coming to Xbox One, PlayStation 4, and PC October 14. For more Arkham Knight, click the banner below.